Canada is a relative mecca for online gamblers, especially compared to their neighbors from the US who are just starting to re-enable gambling online again. Canadians, on the other hand, are free to play at most online casinos and even have a couple of these tailoring their offers for players coming in of these regions. This is the case in terms of payment methods offered, a chance to open an account in Canadian dollars as well as promotions based on national holidays mostly known to people in this country. If you’ve browsed around the site for a bit, you’ll know that we don’t simply list casinos out of the blue, but much rather base all of our listings on in-depth research, years of experience and more importantly, feedback from you, our players. Here are a couple of aspects we base our research on, when looking for new Canadian online casinos to add for these reviews. Track Record & History is the first aspect and side of any gambling company we take a look at. To qualify for further research a particular brand has to either be in the industry for at least 5 years or be owned by a company that have been around for the same amount of time. Given that online gambling officially took off in 1994, I consider this to be quite fair. Payments – efficiency & convenience. This is the very next aspect we take a look at after determining that casino is in fact reputable and safe for playing at. You know what is the reasoning behind the fact that some players never play at online casinos while constantly doing that in land based, brick & mortar ones? It’s not because they are unaware or not really savvy with performing tasks on computers or on the internet. Usually the reason is slow payments. These players are used to being able to withdraw their winnings instantly and find it inconvenient, when they are asked to wait for 24 hours, let alone several days. We check whether a particular casino has the ability of paying out quickly and what’s also important, via a great variety of payment methods. Games Offered – only listed as the third most important aspect in a casino and actually I think it’s with a great reasoning behind it. While games are obviously important, since these are actually the main reason why you’re joining, depositing and even looking for an online casino to begin with. Though, they aren’t nowhere near as important as reputation or payment quickness and convenience of receiving them with a payment method you actually prefer. Let me ask you one thing, if you’re still in doubt. Would you join an online casino if it would be clear that you wouldn’t get paid in case of any winnings or it would take a long time? Do you still have any questions about the importance of the first two aspects? I though so! Bonuses – as unrealistic as it may seem, bonuses come after all the factors listed above. How come? Well, pretty much the same reasons as outlined above do apply in regards to bonuses. There would be no point at all for receiving this, if you would not be able to withdraw your potential winnings or if the games were crappy and nowhere near close to what you are looking forward to. Having that said, bonuses can greatly improve the overall experience that can be gained and of course, the value for playing. Usually there’s a direct correlation to the amount of hours you play for and bonuses plus overall valueback gotten back. There are a couple of software providers that are way more popular than others in the Canadian gambling market. All markets have some casinos who tend to advertise more than others and this is also the case with the Canadian market, which features several casino websites and brands that heavily advertise and tailor their offerings towards this market. These are mainly MicroGaming and Net Entertainment, but these are definitely not limited to these two software providers, as many others are also popular within this market. MicroGaming, who are one of the true pioneers and founders of online gambling, seem to be appreciated in Canada and so are their casinos. There’s no particular reason other than the fact that brands such as Gaming Club, Royal Vegas and Lucky Nugget Casino, who are all powered by this software company, heavily market themselves exactly in Canadian market. NetEnt, known as Net Entertainment in full, are also well known within the online gambling market and have been around since 1997. They are based out of Sweden and actually seem to have some Scandinavian taste in majority of their offerings. If you’re a fan of their design solutions, just like me, you’ll certainly be a fan of games from this company. That’s a quite weird correlation, but it seems to apply. Looking for More of the best online casino site that would serve and tailor to Canadian players? Well, we will do our best to provide you with these. Both of these do fulfill most if not all of the requirements I have outlined above. Guts Casino is also one of my favorite online casinos and a great gambling site for players worldwide except the US, which is the only prohibited region. This brand is built on the platform provided by EveryMatrix and known for their compatibility with most devices as well as game variety that amazes most players. 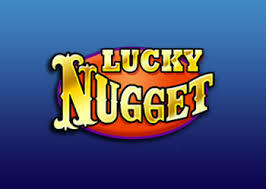 Games from MicroGaming, NetEnt, Sheriff, IGT, BetSoft and several other brands are available. Join Guts.com now and you’ll receive a generous welcome bonus of up to $300 with a 100% match. That’s not the whole ”story” though, since there will also be 100 free spins on the Starburst slot given. Gaming Club was one of the first online casinos on the internet, established in 1994. The fact that they are still operating is quite impressive itself. 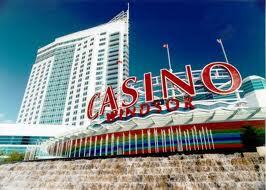 Though, they also are among the best MicroGaming powered casinos for Canadians. You’ll get a chance to deposit and withdraw with commonly used banking methods and in $CAD as well as claim up to $350 in bonuses on your first two deposits. Of course, all of that comes on top of playing at one a reputable and well respected casino!